There are a number of factors that contribute to a pedestrian accident, but data shows that the frequency of these collisions increases significantly once the sun sets and the daylight turns to darkness. On a related note, the time of year can have a big impact on the risks of a pedestrian being hit by a car, as evidenced by the spike in pedestrian collisions between October and January – months when the daylight is scarce, even on the sunniest of days. Bikers, joggers, roller bladers & skaters, skateboarders, scooter-riders, and walkers all face a very serious risk just simply by being around other vehicles. Pedestrians are not afforded the same physical protective environment as drivers and passengers in motor vehicles, and therefore are at risk of serious injury in the event of a collision. In addition to potential traffic infractions and – in extreme cases – criminal punishment, drivers who violate this duty may be subject to liability in the event that a pedestrian injured by the driver’s negligence chooses to pursue a personal injury claim against that driver. Do Pedestrians Have To Wear Bright Clothing? 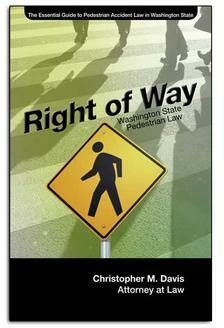 We have established that Washington state law places a duty on drivers to be alert and yield to pedestrians. This can be difficult in the darkness, and we have heard questions from pedestrian accident victims about whether they are legally required to wear bright clothing or take steps to make themselves more visible in the dark. 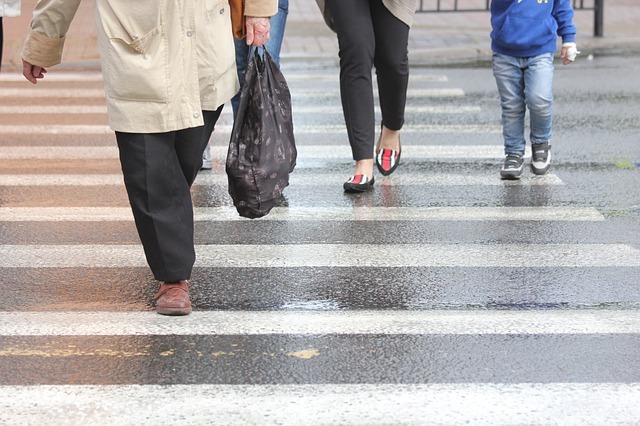 While many safety-focused initiatives often recommend that pedestrians wear bright clothing or carry flashing lights as a proactive public safety measure, there is no law requiring pedestrians to do so. And while the lack of a law on the books requiring pedestrians to dress brighter means you won’t receive a citation for walking in dark clothing, it’s still probably a good idea to wear bright colors if you are going to be walking around at night. Want To Learn More About Your Legal Rights? Get your complimentary copy of "Right Of Way: The Essential Guide To Pedestrian Accident Law" absolutely free by clicking the "Order Now" button below. Award-winning pedestrian accident attorney Chris Davis has written a series of FREE books, including one about pedestrian accident cases in Washington state. These books answer common legal questions that people and their loved ones may have about their legal rights, including how to handle your claim on your own and when you might need an attorney's help. "No need to look any further for an excellent law firm...Davis Law Group!" -Austin W.
"They exceeded my expectations from the initial contact to the process to date." Al R. "...I was hit when I was legally in the crosswalk...we would have had nothing without Davis Law Group." -Laurie V.